No entry at this moment, be the first one? A new question will be posted every week. Send in your answers and stand to win a Eu Yan Sang goodie pack worth more than $32! 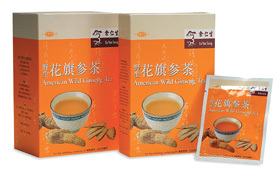 Each pack contains a box of Eu Yan Sang Wild American Ginseng Tea and a voucher to redeem complimentary consultation at any of our clinics. American Ginseng is famous for its adaptogenic properties - agents that help to increase the body's resistance to stress. They have the unique ability to switch from stimulating to sedating effects, thus bringing the body to a precise balance. Wild American Ginseng is more superior than other ginsengs as it is more potent therapeutically. It helps to nourish the Yin essence, clear excess heat in the body, increase vitality and is ideal for smokers, urban dwellers who lead hectic lifestyles and suffer from insufficient rest, and those who stay up at night. All winners will be contacted via email so remember to include it in your answers! Thank you for your participation and interest! The weekly contest has ended but check out the winners of our weekly contest on the left.